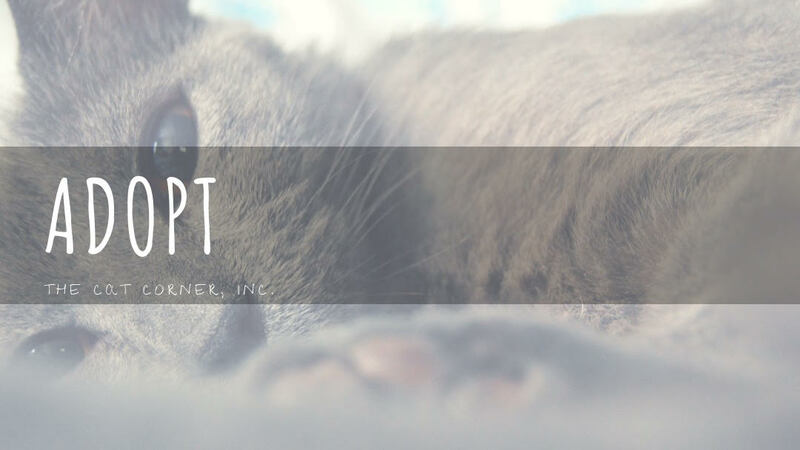 The Cat Corner is a nonprofit, no-kill shelter for cats located in Hampton, Va. We do not receive any local or state funding and rely completely on the generosity of our community and supporters. Adoption saves lives! We want to make adopting from The Cat Corner a fun and stress free. Prior to visit the shelter or contacting us, please look over our Adoption Tools. 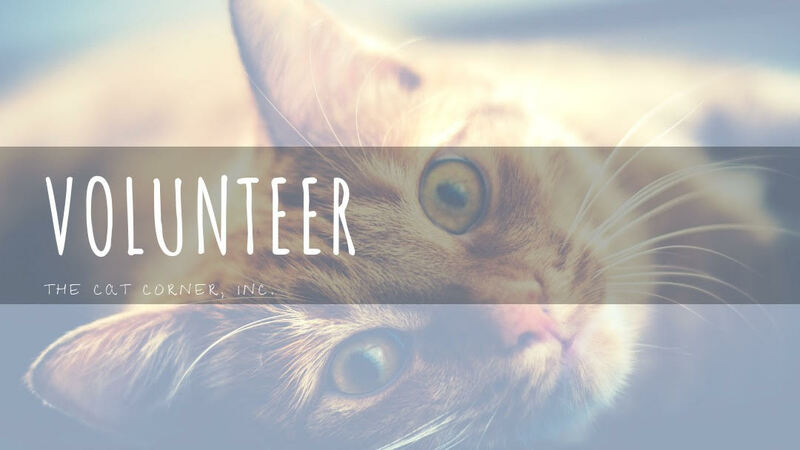 We are a volunteer-run organization so we rely on caring people like you to be able to continue to operate and care for these cats a kittens. Donate your time and help us continue to save lives. The Cat Corner, Inc. is a nonprofit organization that does not receive any federal, state or local government funding. We depend solely from the generosity of caring individuals from our community to continue to do our work. 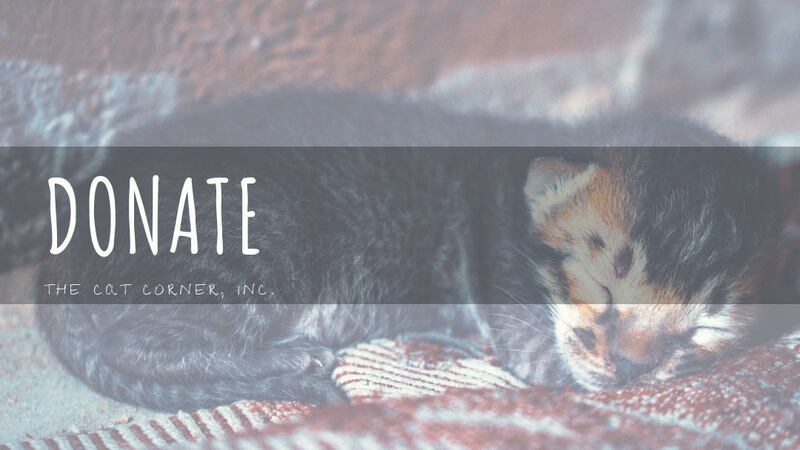 ​Please consider making a donation to help us continue to operate and help homeless cats in our community and surrounding areas. Our vision for the future is for every cat to be spayed/ neutered & cared for in a loving home by a responsible guardian. We would like people to treat animals as the sentient being they are, ensuring they are neither exploited nor harmed. Actively seeking permanent & loving homes for the cats in our care. Providing lifelong care to those cats who for behavioral or medical reasons are unable to be adopted.